“I don't have time.” is a more commonly heard statement that “Good morning” these days. Professionals are witnessing increments in their wages, and their waistlines too. Work seems to have only gotten more taxing over the past few years, and people are busier than ever. Yet, even with our hectic schedules, we still want to have time to fit in activities that improve our fitness, relieve stress, prevent chronic health problems and generally just make us feel better. While office spaces make sure that their employees must move around the least to get things done, it's also a curse for your body, and before you know it, you've added 10 more kilos and an annoying belly to your frame. Workouts don’t need to be hours long. Try to find a time every day where you can get in a quick workout. Many high-intensity workouts only span about 20–30 minutes. Squeeze in exercise into your busy day. Find out how you can come home feeling happier by giving one or all our suggestions a try. You can go for a walk while you park your car. Just park your car and walk and decide how many minutes you will walk. Choose a length of time you know you can have. Do not worry about how short that period is, just keep moving until you reach it. 2-5 minutes each day is a great start. Pay no attention to how far you want to walk. 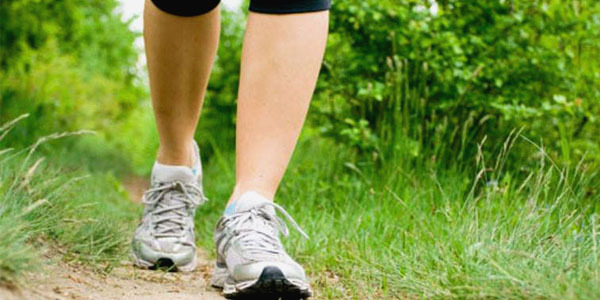 What matters more is that you walk for a longer period. Walking fast and farther will only come with experience. Want to avoid elevator small talk in favor of an elevating heart rate? Take the stairs! 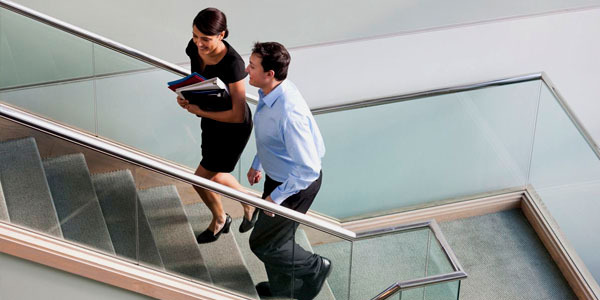 Climb the stairs at least twice a day to get your heart rate pumping and for a real leg burn. Waiting for a meeting to start? Just get up and move from your desk. Make way for your upper arm muscles! You don’t need any specific type of place to do your fitness move. Just get up and move! If you are still thinking of how you can get fitness into your routine, get your colleagues and your FITPASS. Now we’re saying this because working out in a group will keep you pumped and, also improve your groups' fitness, happiness, and overall professional relationship. Working out with your colleagues allows two people to motivate one another in a truly effective manner. Colleagues who exercise together are more likely to reach their fitness goals. You know what to do next, start exercising and sign up with FITPASS where you have the freedom to pick from 100,000+ different workout options and get ready to GET.SET.SWEAT. 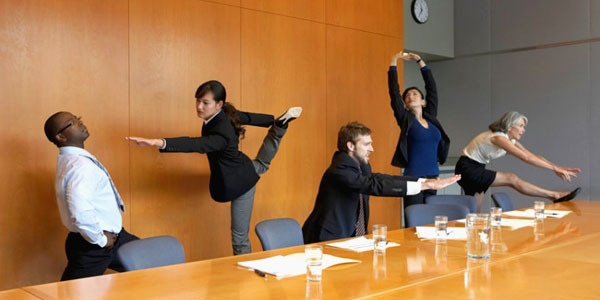 There are many more things you can do to squeeze exercise into your busy day. Think of what you can do while waiting in the queue, sitting at your desk or on the commuter. And all you need is the will to do them. We hope our ideas motivate you to get moving, boost your day with some activity, and feel better mentally.